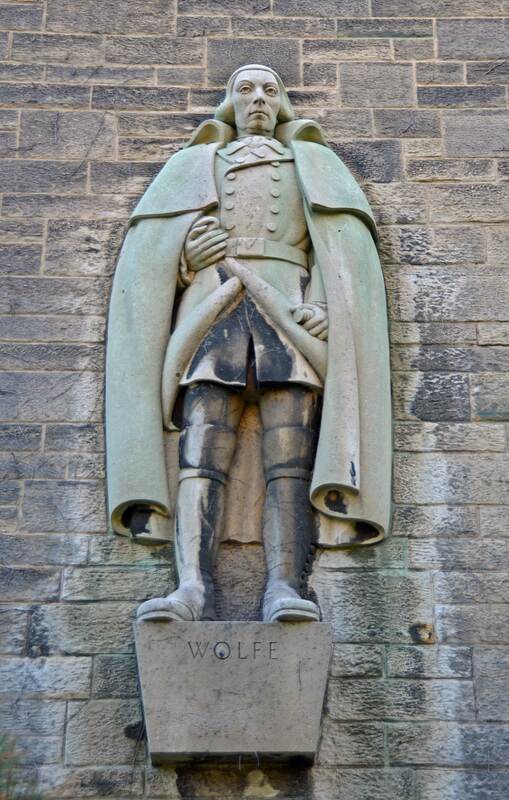 Stricken at the battle for Quebec City in 1759, Major General James Wolfe uttered those words as he lay dying just as his troops’ victory was assured. 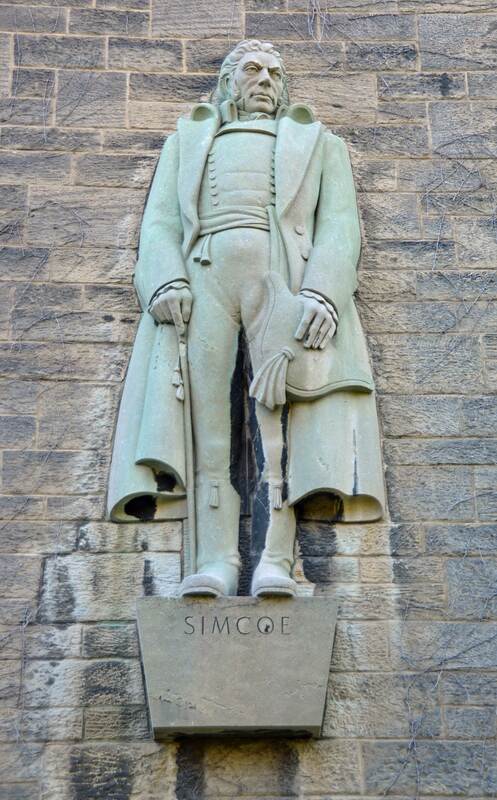 Imposing bas relief sculptures of Wolfe and three other early Canadian military heroes — Samuel de Champlain, John Graves Simcoe and Isaac Brock — grace the facade of the Archives and Canadiana Building at the University of Toronto. Like their real-life counterparts centuries earlier, these sculptures keep a watchful and weathered gaze upon the surrounding landscape. These are great but I do think it’s where Disney got their inspiration for some of their characters. That’s funny! 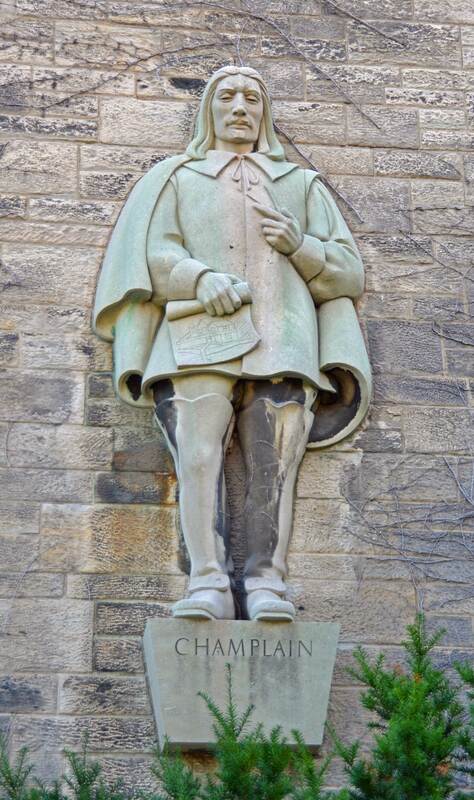 Champlain looks a little like Captain Hook! 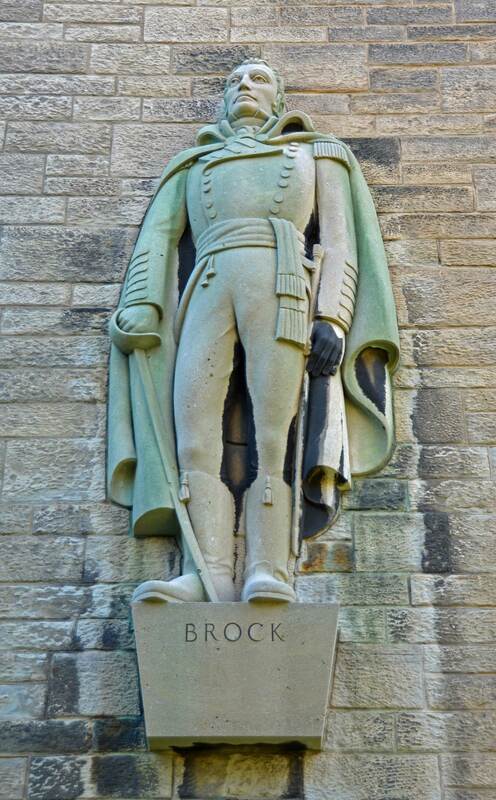 Nice mini-tribute to some great Canadian heroes. I should look them up….next time in Toronto. I never knew. And I used to live in that city for over 20 yrs.